Lane, C.S., B. Hildebrandt*, L.M. Kennedy, A. LeBlanc, K-B. Liu, A.J. Wagner, and A.D. Hawkes, Verification of tropical storm deposits with oxygen isotope analyses of coeval ostracod valves, In Review at Journal of Paleolimnology. Morrill, C., E.M. Ward, A.J. Wagner, B.L. Otto-Bliesner, and N. Rosenbloom (2014), Large sensitivity to freshwater forcing location in 8.2 ka Simulations, Paleoceanography 29(10), 930-945, doi:10.1002/2014PA002669. Wagner, A.J., C. Morrill, B. Otto-Bliesner, N. Rosenbloom, K. Watkins* (2013), Did the Lake Agassiz flood cause the 8.2 ka event? Model support for forcing of the 8.2 ka event by meltwater from the Hudson Bay ice dome, Climate Dynamics, doi:10.1007/s00382-013-1706-z. Anderson, D.M., E.M. Mauk, E.R. Wahl, C. Morrill, A.J. Wagner, D. Easterling, and T. Rutishauser (2013), Global warming in an independent record of the past 130 years, Geophysical Research Letters, 40, 189-193, doi:10.1029/2012GL054271. Morrill, C., A.J. Wagner, B.L. Otto-Bliesner, and N. Rosenbloom (2011), Evidence for significant climate impacts in monsoonal Asia at 8.2 ka from multiple proxies and model simulations, Journal of Earth Environment, 2(3), 426-441. Wagner, A.J. and N.C. Slowey, Oxygen isotopes in seawater from the Texas-Louisiana shelf (2011), Bulletin of Marine Science, 87(1), 1-12. Wagner, A.J., T.P. Guilderson, N.C. Slowey, and J. Cole (2009), Pre-bomb surface water radiocarbon of the Gulf of Mexico and Caribbean as recorded in hermatypic corals, Radiocarbon, 51(3), 947-954. Bratcher, A.J. and B.S. Giese (2002), Tropical Pacific decadal variability and global warming, Geophysical Research Letters, 29(19), 1918-1921. Carlin, J.A., J.A. Addison, A.J. Wagner, J.A. Barron, Decadal-scale changes to the central California coastal ocean recorded in shelf sediments, Poster presented at Ocean Sciences Meeting, New Orleans, LA, February 2016. DeLong, K.L, R. Cobb, A.J. Wagner, J.H. Hudson, G. Ouellette, A.D. Hermann, Assessment of Coral Sr/Ca Variations in Coral Colonies in Veracruz, Mexico, Talk presented at Ocean Sciences Meeting, New Orleans, LA, February 2016. Morrill, C., A.J. Wagner, E.M. Ward, B.L. Otto-Bliesner, N.A. Rosenbloom, Toward more Realistic Freshwater Forcing Experiments of the 8.2 ka Event, Talk presented at Fall AGU Meeting, San Francisco, CA, December 2015. Massoll, J. *, A.J. Wagner, D.M. Anderson, C.S. Lane, J.-K. Kim, S.H. Lee, Decadal variations in Western Pacific Warm Pool dynamics as evidenced by Porites corals from Chuuk Atoll, Federated States of Micronesia. Poster presented at Fall AGU Meeting, San Francisco, CA, December 2014. Morrill, C., E. Ward, A. Wagner, B. Otto-Bliesner, N. Rosenbloom, Large sensitivity to freshwater forcing location in 8.2 ka simulations. Poster presented at Fall AGU Meeting, San Francisco, CA, December 2013. Tedik, A.M.*, C.S. Lane, D.W. Gamble, A.J. Wagner, Paleolimnological evidence of historical land use change from multiple sites on the island of St. Croix, USVI. 2013 GSA, Denver, CO, October 2013. Kachmarik, H.A. *, A.D. Hawkes, A.J. Wagner, J. Donnelly, D. McDonald, Coupling tropical cyclone frequency and climate dynamics: A 1500-year record in the Pelican Cayes Belize. Poster presented at Annual GSA Meeting, Denver, CO, October 2013. Umling, N.E. *, A.J. Wagner, D.M. Anderson, A 50-year record of d13C fluctuations in Porites lobata corals from Micronesia linked to turbidity. Poster presented at SE GSA, San Juan, PR, March 2013. Wagner, A.J., K. Lee, S.H. Lee, D.M. Anderson, J.-K. Kim, N. Umling*, Twenty years of Western Pacific Warm Pool variability as recorded in a Porites coral from Chuuk Lagoon. Poster presented at Fall AGU Meeting, San Francisco, CA, December 2012. Wagner, A.J., C. Morrill, B. Otto Bliesner, N. Rosenbloom, K. Watkins*, The collapse of the Laurentide Ice Sheet and its role in the 8.2 ka event: Evidence from CCSM3 simulations and paleo-proxy records. INVITED. Talk presented at Fall AGU Meeting, San Francisco, CA, December 2011. 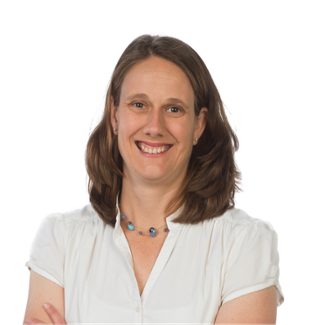 Amy Wagner is an isotope geochemist and paleoceanographer/paleoclimatologist whose interests focus on natural and anthropogenic climate variability during the Holocene. She joined the Geology faculty at Sac State in Fall 2015. Her field areas include Monterey Bay, California, St. Croix, US Virgin Islands, Ross Sea, Antarctica and the Sierra high mountain meadows. She has students working on projects using isotope and trace metal geochemical data from corals and marine sediments to understand oceanographic changes throughout the Holocene associated with natural and anthropogenic climate change. Using a combination of stable isotopes and trace elements analyzed in marine carbonates, we can determine the environmental conditions in which the organisms were growing during period of rapid global change during the Holocene. Understanding how the marine environment has responded to changes in the past will help us to prepare for possible changes in the future due to climate change. Dr. Wagner is also working with students to study the source of water delivered to the high Sierra mountain meadows using water isotopes. Through her research, she seeks to understand whether water being stored in the high mountain meadows of the Sierra is derived primarily from surface runoff or groundwater using the isotopic signature as a tracer. This may be important for water resource management as we address both human and scientific challenges facing California due to climate change and extreme weather events, such as drought and El Niño conditions. Instrumentation in her lab includes a LGR Liquid Water Isotope Analyzer (LWIA), CNC micro-milling machine, high-precision microbalance, pneumatic coring drill and digital microscope.